Adquant, one of AppsFlyer's integrated partners, is a leading provider of Artificial Intelligence solutions to help app marketers scale their growth. 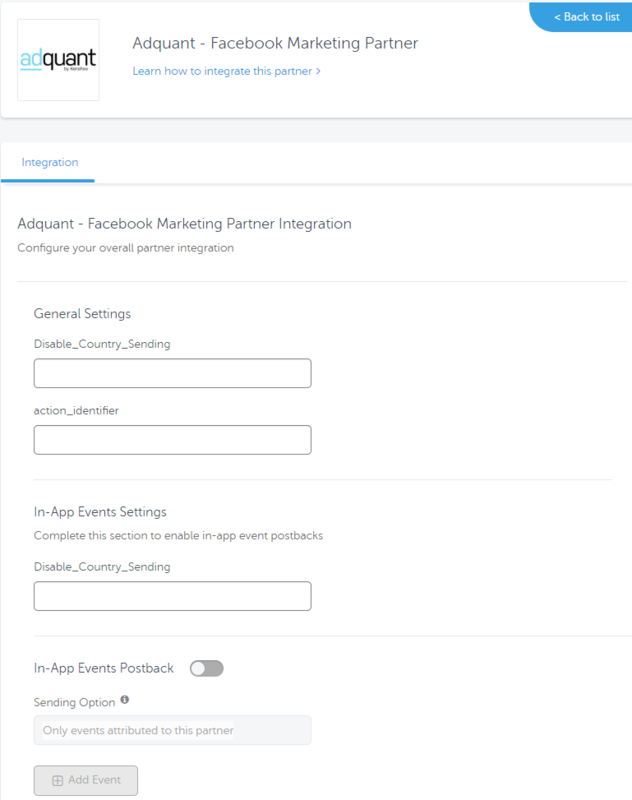 To configure your campaigns with Adquant - Facebook Marketing Partner, follow the steps below. Enter "Adquant" in the search field and click on its logo to open Adquant's configuration window. By default, we send Adquant the geo location of the user. If you want to disable this, enter the value 1 in the Disable_Country_Sending field. 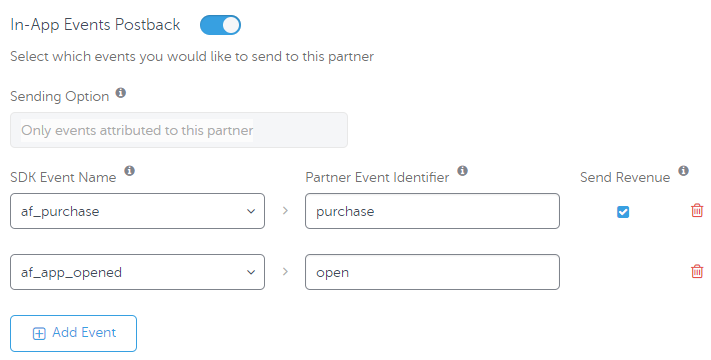 To send in-app event postbacks to Adquant, toggle the In-App Events Postback to ON. Individually add the in-app events you want to send to Adquant. When you configure your campaigns on Kenshoo the campaign name must begin with "adquant_".